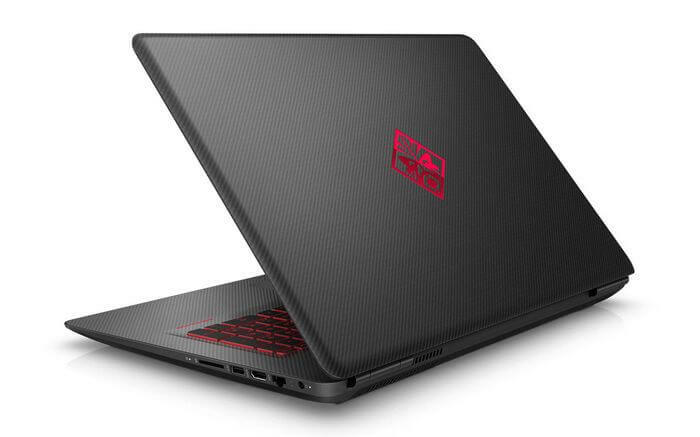 After its 17-inch brother, the HP Omen 15 gaming notebook review now has to prove itself. As refresh for the year 2016, HP uses UltraHD displays (4K), Intel Core i7 Skylake processors and the Nvidia GeForce GTX 965M graphics card. Film friends and casual gamers will be happy. But do ambitious game fans get their money’s worth? Our review takes a closer look at the laptop. Compared to the recently tested HP Omen 17-w012ng, there are hardly any differences between the 17 inch and 15-inch versions of the new HP Omen 2016. Logically, the now smaller, smaller version of the gaming notebook brings a smaller dimension And a lighter weight with it. However, we also find matt and red-black colored plastic surfaces here. The rear panel and the interior around the keyboard are held in an HP-patterned layout, reminiscent of the texture of carbon. Despite the plastic, the processing of our HP Omen 15-ax004ng succeeded and the display and cover look more stable than in the 17-inch version. We like the keyboard and the touchpad. Even if HP at this point more lighting levels and a better trackpad mechanics could have blocked. Many gamers and gamers will quickly get used to the input devices, perhaps even the one-line enter key. 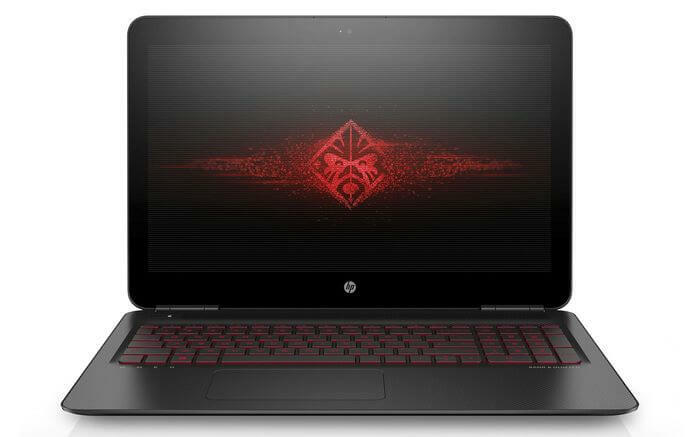 The HP Omen 15 notebook specs show the same connections as its big brother. Only the optical drive in the form of the DVD burner falls due to lack of space from the data sheet. Thus, we meet three USB ports, only two of which support the current USB 3.0 standard. Furthermore, HDMI, WLAN-ac, Bluetooth 4.2 and Gigabit LAN are on board. For the proud price of almost 1,500 euros, we would have expected more. DisplayPort and USB 3.1 Type C have not been installed. There are well-dimensioned 16 GB DDR4 memory and a 128 GB SSD in the M.2 format of SanDisk. The latter is, however, not an expected NVMe variant, as we found it in HP Omen 17. Accordingly, the read and write rates are lower but still significantly better than in a classic hard drive. One is also integrated with a capacity of 2 TB. 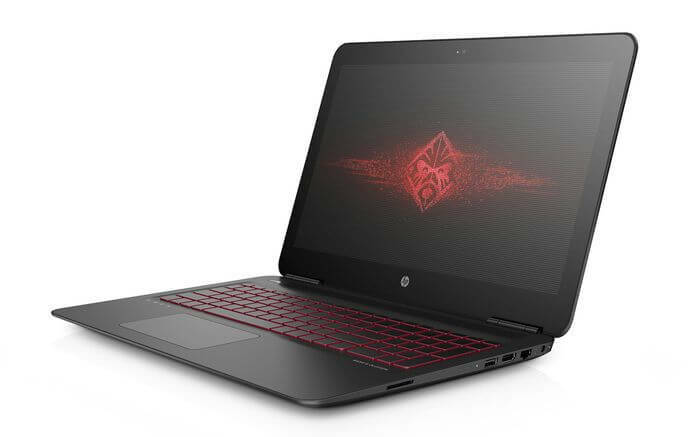 As core components, the HP Omen 15-ax004ng features takes the Skylake processor Intel Core i7-6700HQ and the Nvidia Geforce GTX 965M to the breast. A clock rate of up to 3.5 GHz and a 4 GB video memory look good on the data sheet. Real gamers, however, recognize the discreet bottleneck. 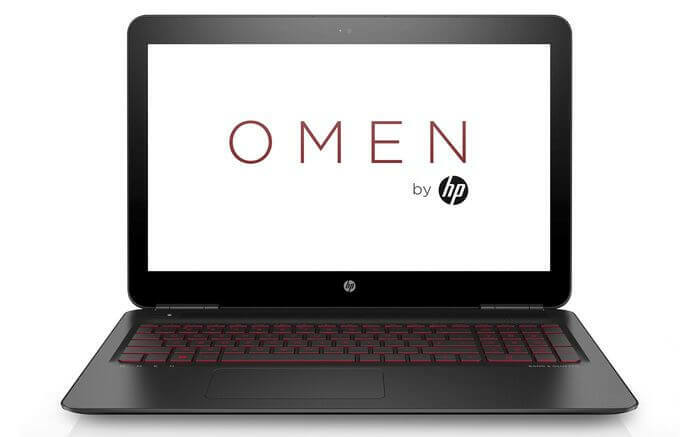 Movies, music, photos, office and the Internet have no problem for the Omen 15. But when we deal with the gaming area, the 15-inch is too fast. Especially in native UltraHD (4K) resolution, the notebook has a lot of fluent gameplay to allow. For this purpose, we have to scale down the display to the well-known full-HD resolution of 1920 x 1080 pixels, in order to achieve pleasant FPS values even in high-quality levels. 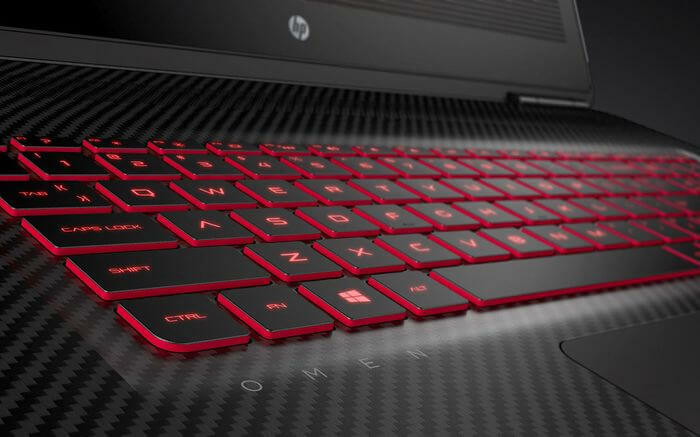 The HP Omen 15 may be quite sufficient for gels. 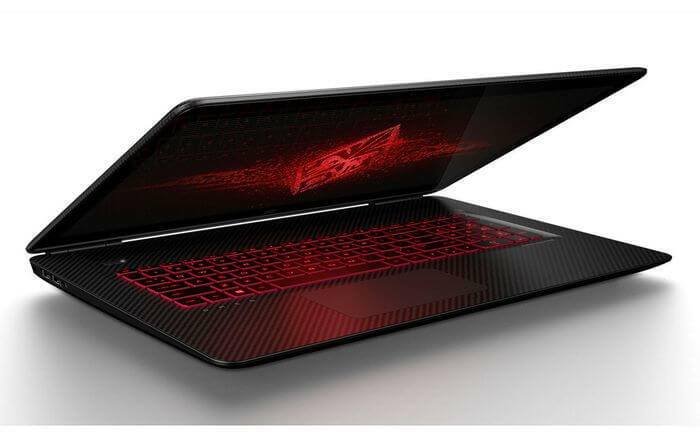 However, if you are a gamer, you should go to gaming notebooks with a Geforce GTX 970M or even GTX 980M. Film enthusiasts will be pleased with the high resolution of the 15.6 inch UltraHD display. The IPS screen installed here offers 3.820 x 2.160 pixels with good viewing angle stability. Streaming programs such as Netflix and Amazon Prime Video already deliver first series and films in 4K UHD and even in HDR quality. The HP Omen 15-ax004ng panel shows a good illumination of up to 325 cd / m². However, the contrast is below average 570: 1. The joy is also tarnished by scaling problems under Windows 10. Especially with third-party software, there are still confrontations with the high resolution. Before you buy, you should inquire whether the programs you use frequently already support the 4K format. Alternatively, you can get the Omen notebooks also with classic full-HD display and thus the problems around. The gaming laptops‘ emissions are another problem. In stressful scenarios – for example, in games or benchmarks – the enclosure heats up to over 50 degrees Celsius. Even in mixed operation, the temperature is still between 35 and 44 degrees. In addition, there is a clearly audible and sometimes annoying noise of up to 50 dB (A). In this test field, the 17-inch Omen counterpart works better than the 15-inch version. And that even though the processor throttles in hot skirmishes from possible 3.5 GHz to 0.8 GHz (800 MHz). At this point, HP should start with a Feintuning. Starting with a BIOS update. 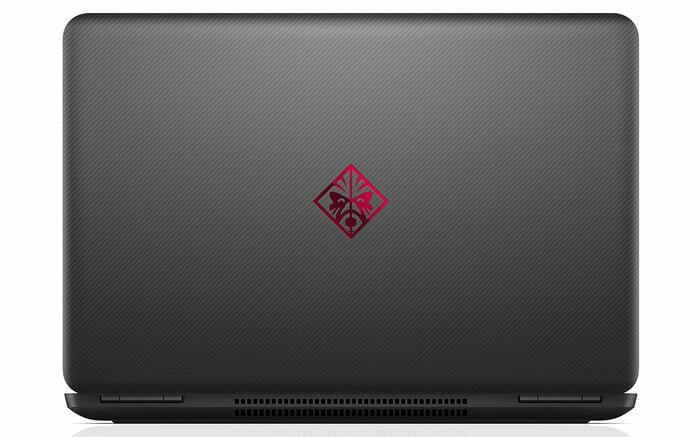 Thanks to Nvidia Optimus technology, the HP Omen 15-ax004ng comes with an idle time of 9.5 hours. In gaming mode and the heavy load, it is only 1.5 hours. If you calculate the mean value as a mixed operation or multimedia, you land at 5.5 hours. More runtime can be picked out when the screen brightness is reduced, the keyboard lighting is switched off, and the Intel HD Graphics 530 (Integrated Graphics) is forced into the Nvidia system controller. In this scenario, you do not gamble, but you can work longer in the office. The gaming world is a tough pavement. 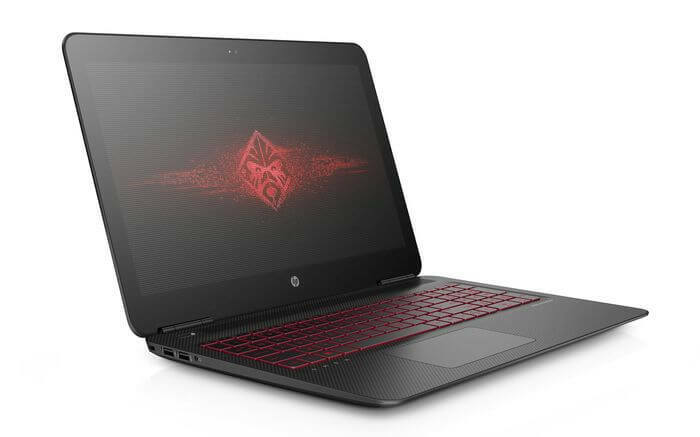 HP takes courage, updates the Omen 15 notebooks and sends a good middle-class gamer for the year 2016 in the race. Especially the powerful Intel Core i7 processor and the modern DDR4 memory leave a good impression. The same applies to the Nvidia GeForce GTX 965M graphics card, which high-end lovers, however, should have little steam under the hood. We always look forward to an SSD, even though 128 GB and the missing NVMe version will be scanty with a total price of 1,500 Euro. In addition, you should ask yourself the question, whether an UltraHD display (4K) for you really makes sense. For UHD gaming the HP Omen 15-ax004ng is too weak and under Windows 10 still scale problems. In addition, you can save with an Omen configuration including FullHD screen a whopping 200 euros. Sometimes less is easy.